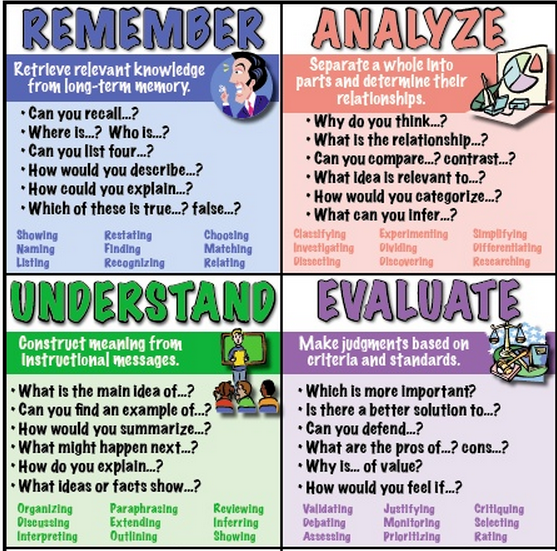 Cultural - We need to pay attention to the culture in which the literacies are situated. Cognitive - We can’t just consider the procedural ways in which we use devices and programs. It’s the way we think when we’re using them. Constructive - We can’t be passive consumers of technology/information. We should strive to use digital tools in reflective and appropriate ways to be constructive and be socially active. Communicative - Digital tools and power structures change the way we communicate. An element of digital literacy is how we take command of that structure and use it to communicate effectively and contribute meaningfully. Confident - Doug believes that in order to be a proficient user of technology, one must have the courage and confidence to dive into the unknown, take risks, make mistakes, and display confidence when “messing around” with new tools. Critical - Digital literacy involves an understanding of how to deal with hyperspace and hypertext and understanding that it’s “not entirely read or spoken.” Can we critically evaluate the technologies we’re using? Civic - Something I think many schools are beginning to embrace, we must use technology to improve our lives and the lives of others in our world. Doug shared this quote from his research (Martin, 2006): “Digital literacy is a condition, not a threshold.” It changes the way we teach. It’s a relationship and represents the way we orient ourselves with the world. 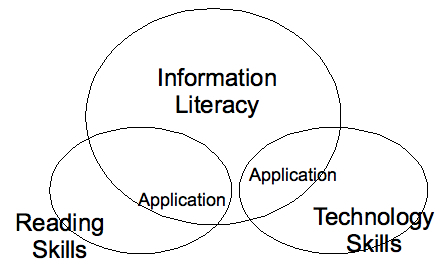 Digital literacy doesn’t include a sequential set of skills. There’s a lot more “messing around” involved, and it’s subjective and highly contextual. Digital literacy in a K-12 setting varies greatly from that in a collegiate setting.